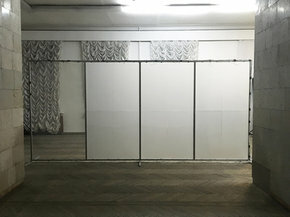 Olof Persson works in different art media, like installation, performance, video, dance, and images originating from visual and choreographic actions. His artistic work is characterized by his background in raveculture and internet, an aeshetic which mixes unpolished surface with urban undertones and volatility. Persson has studied in various artistic disciplines at Örebro Art College and Academy Valand – School of Fine Art, Göteborg University. Works has been shown at Göteborgs Konsthall, Fylkingen, Dia Center for Arts, Art Safari, Animal Gallery, NRW Forum Düsseldorf, Örebro Konsthall, Swedish style in Tokyo, Dnipropetrovsk Museum of Art with more.